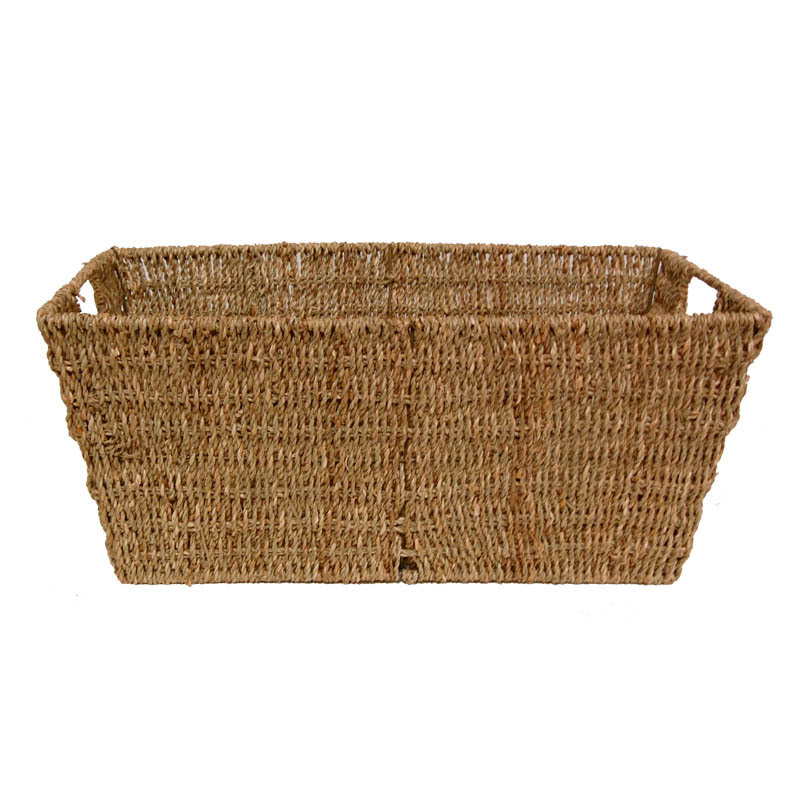 Michaela Slim Sea Grass Rectangular Utility Basket The Lucky Clover Trading Co. 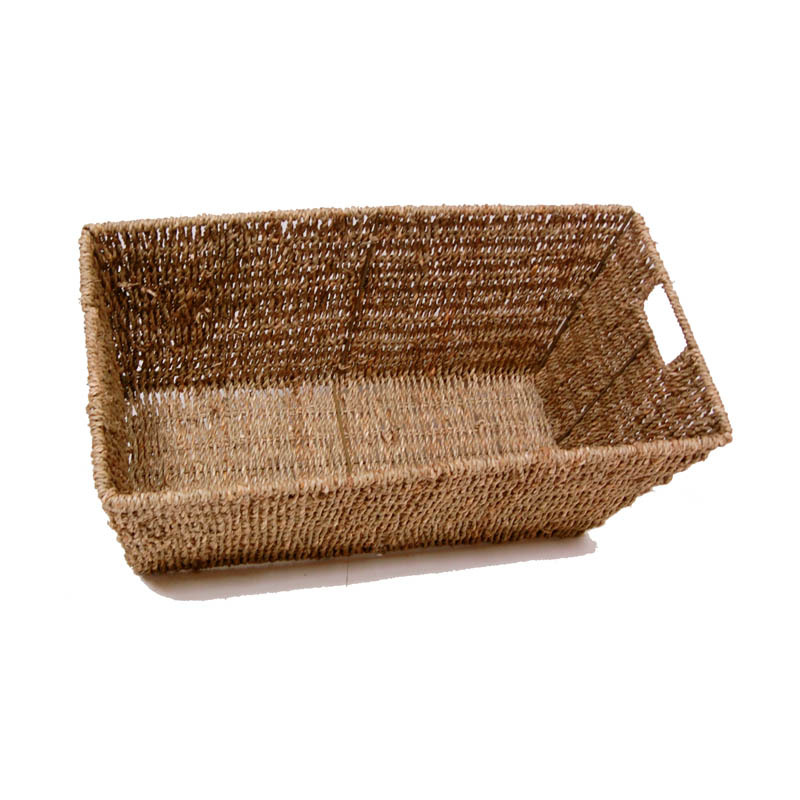 Slim and sleek, this sea grass rectangular utility basket from the Michaela Collection is the perfect basket to get your living room organized. Store video games, DVDs, CDs, and other media and place on a shelf underneath the entertainment center. 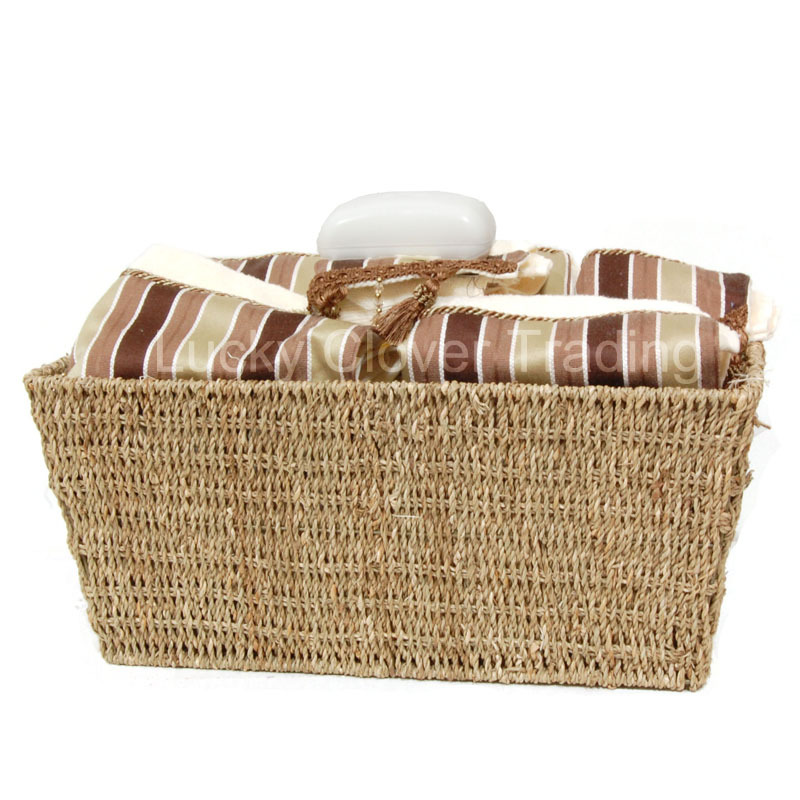 For the bathroom, use this basket to store towels, toilet paper, and other bath accessories. 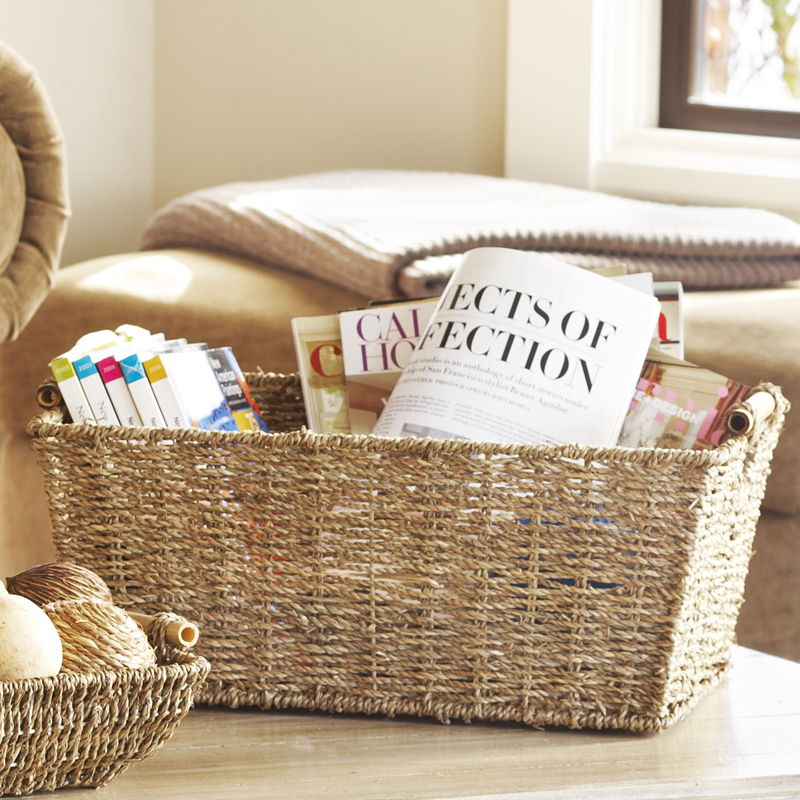 I just remodeled my sewing room and used these baskets to organize all of my shelves. They are beautiful, well made and large! I love them! 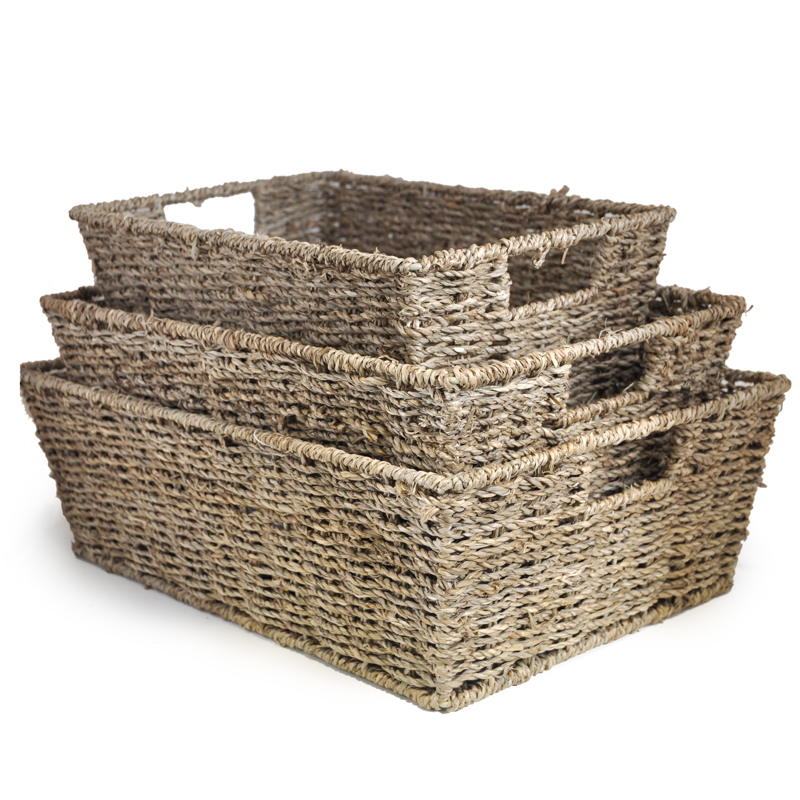 Baskets were just what I was looking for - bit of an unusual shape in that they are taller and narrower than others. They arrived in good condition, nice quality. Perfect. 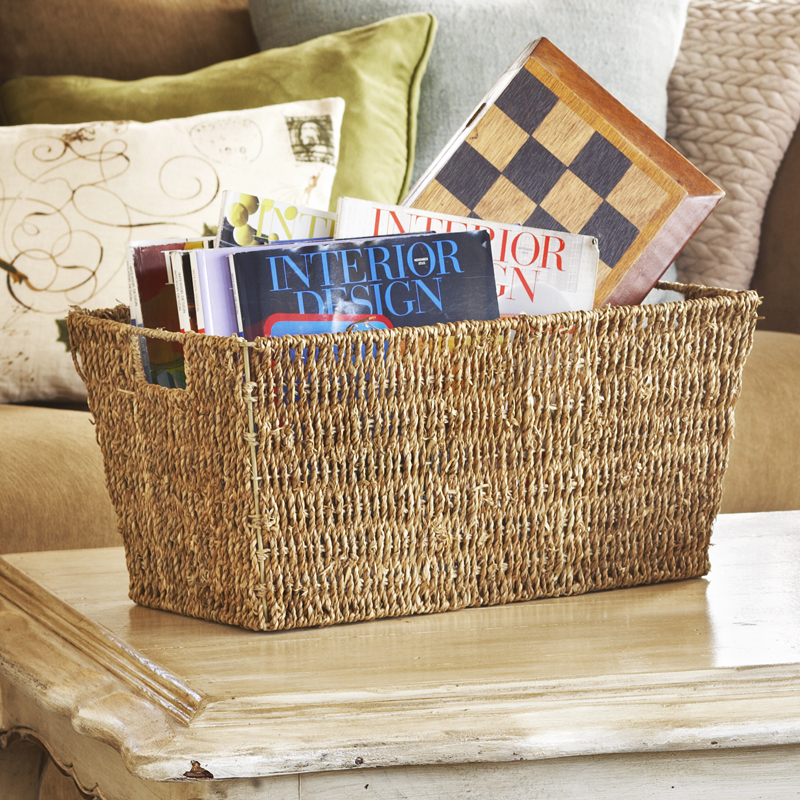 I had been looking for baskets that fit into odd sized bookcases. I found them on your site and when they arrived, they are very nice. Just what I need and good quality. 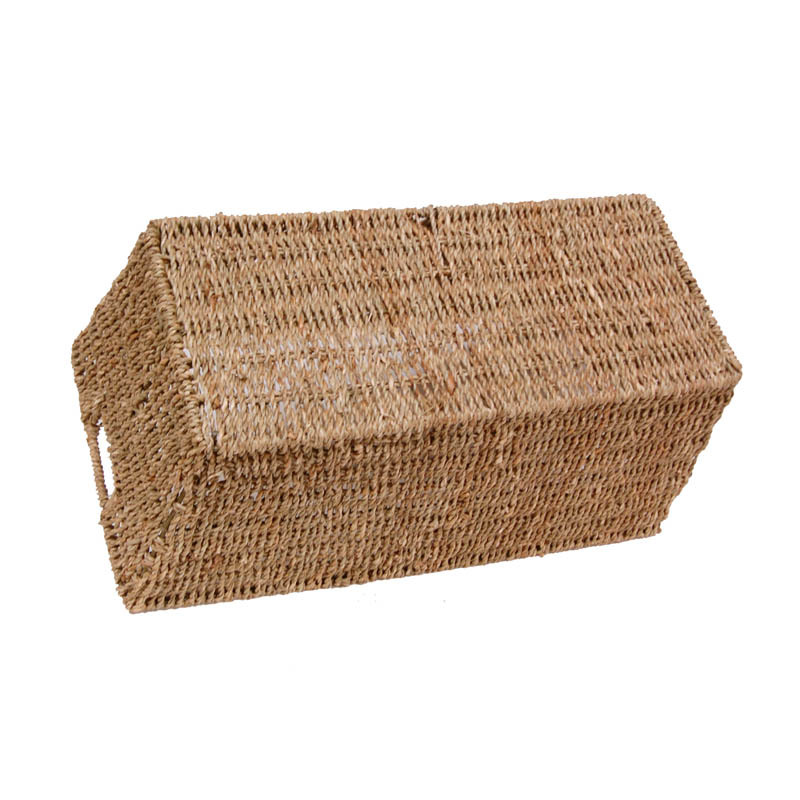 I love the seven baskets that I bought; quality is excellent. They are exactly what I was looking for. 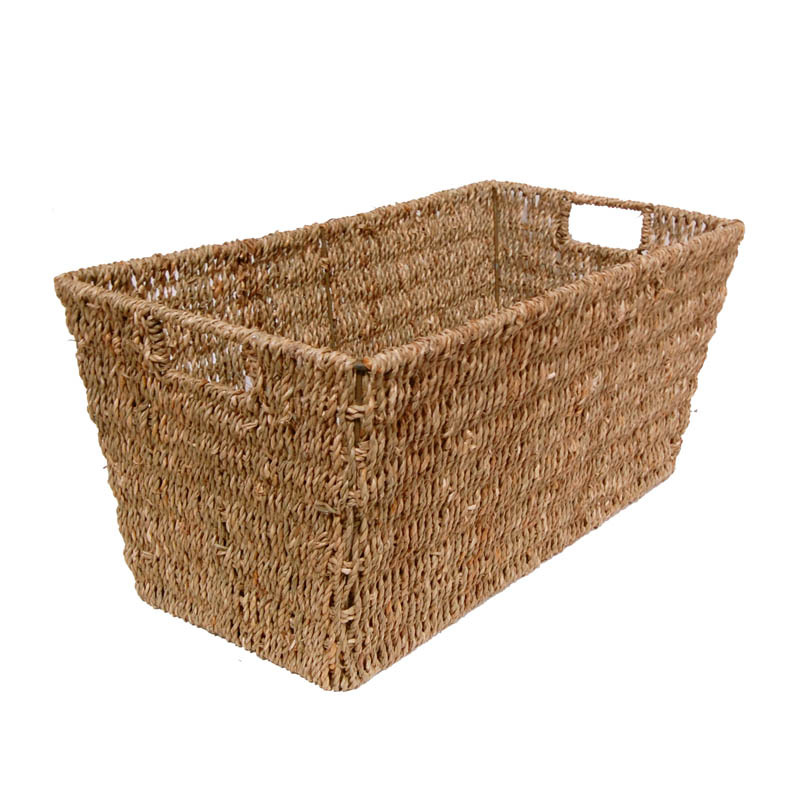 Your baskets are beautiful!!! They arrived quickly and were securely packed. Your prices are perfect for those of us on fixed incomes but still want quality in home decorations. Thank you so much!